Life in colour: May Vacation. Day 1: Moscow. 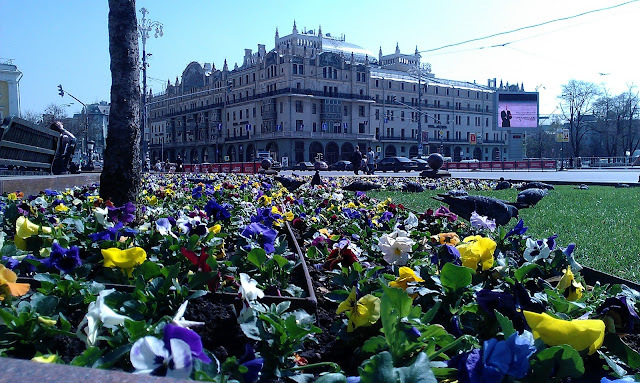 We had a small vacation at the beginning of May. It was our first vacation during last two years, so we were very excited about it. I want to make a photo report of those days to capture them in memory. 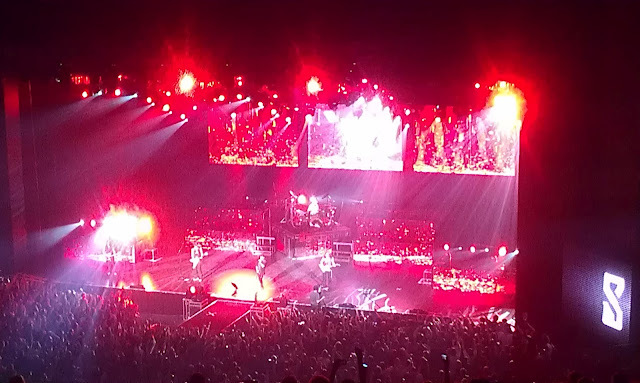 First we came to Moscow to see the city and to visit a final Scorpions concert in Crocus City Hall on 26 of April. We arrived to Moscow at 9 am at Kiev railway station. 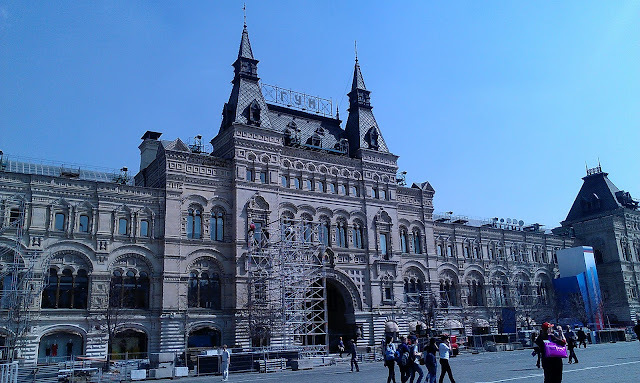 The concert was at 8 pm, so we had some time to see main sightseeings of the capital of Russia. 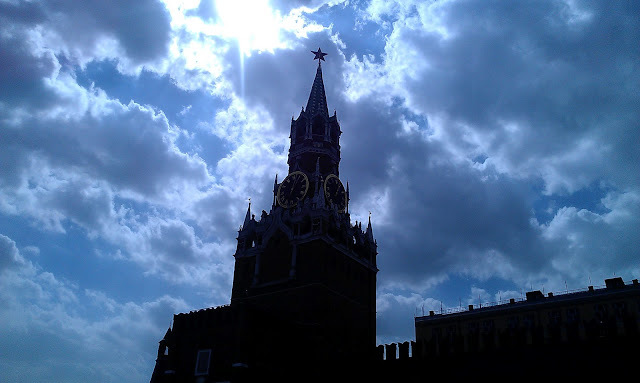 We planned to see The Red Square, The Mausoleum, famous cathedrals and Kremlin. After a short subway trip we appeared near the Red Square. 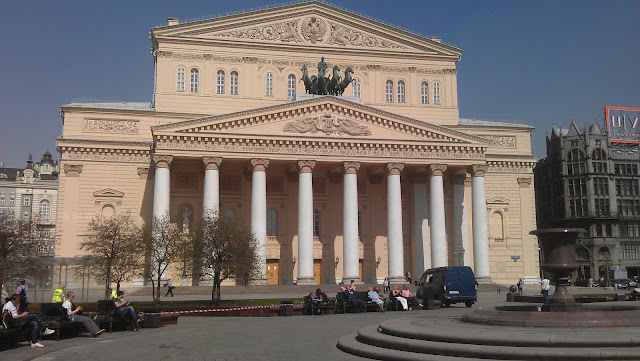 Here is the Bolshoi Theatre with TsUM (central universal store) near it. 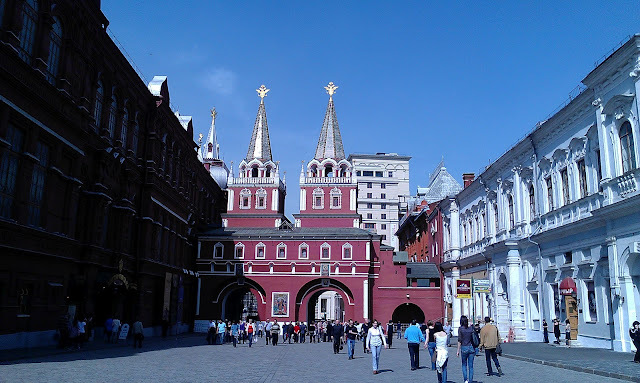 Iberian Gate and Chapel is one of the enters to the Red Square. 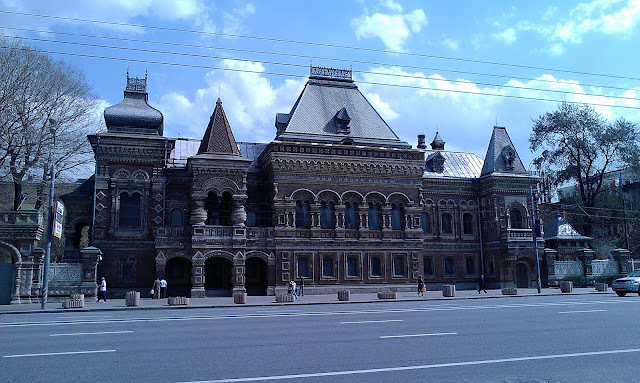 and State Historical Museum from the other side. 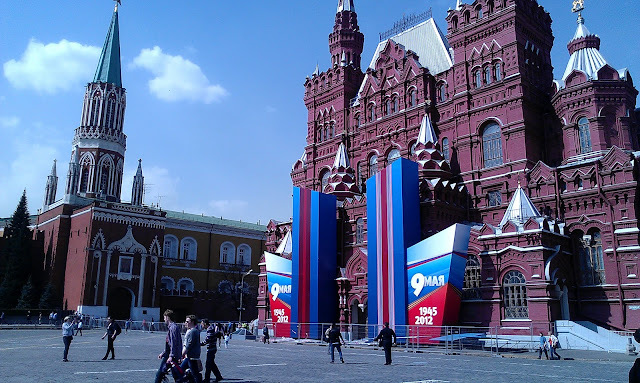 Everything was decorated for the upcoming Victory Day celebration. GUM - main universal store, a very famous department store in Soviet Union. 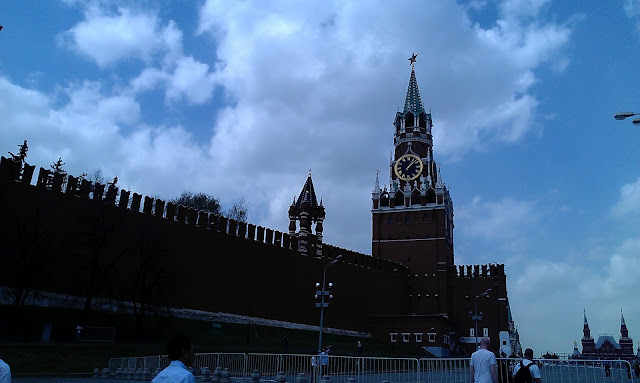 And here it is - Moscow Kremlin - residence of the President of Russian Federation. Here we visited Lenin's Mausoleum. This visit included a long preparation and a lot of security related operations and a really short walk through Mausoleum. The security part was organized in most inconvenient way. You can't enter Mausoleum just from the Red Square, but you have to go around and enter from the other side of the Square to pass all security posts and corridors, stay in several queues, put all cameras and phones with cameras in a paid baggage room. A lot of police inside and out, you are not allowed to stop even for few minutes in front of Lenin's body, only quick walk through the room and a quick look. In addition the working hours finish at 1 pm, so you have to make a good try to see the leader of the Bolsheviks and the main Soviet revolutionary at his current resting place. After all, I can't say he looks good, it looked like he has a lot of powder on his face and I'm not sure it was the real Lenin's body, it looked like a wax or plastic copy of it. In fact, Mausoleum did not impress us. 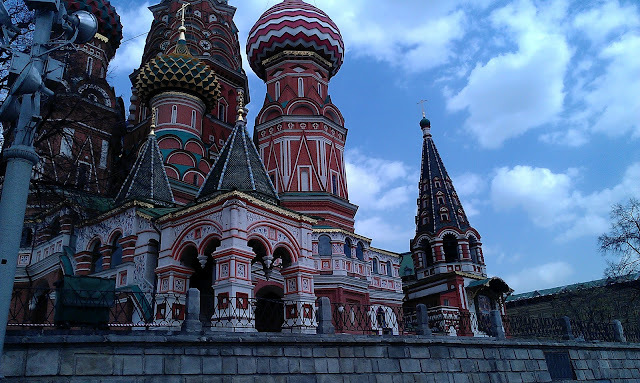 Saint Basil's Cathedral is on the below photo - rich and colorful cathedral in cute Russian style. 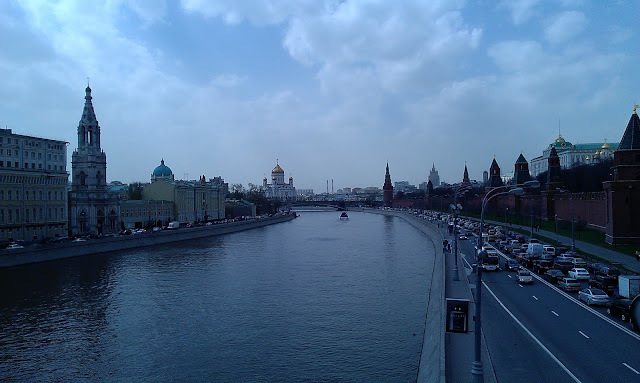 Finally we got to the Moscow River and Kremlin embankment. After our wide Dnieper it looked quite small and did not impress us as well. 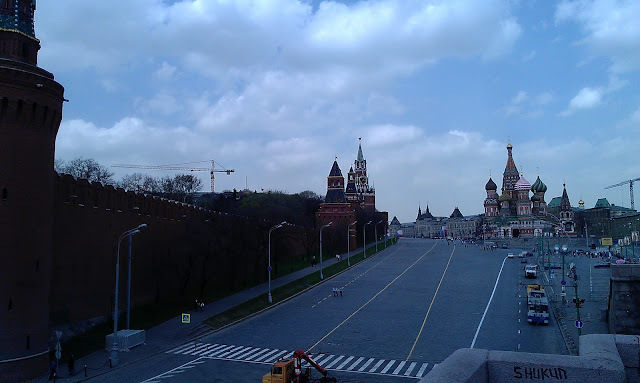 View to the Kremlin and St. Basil Cathedral from the Moscow River embankment. 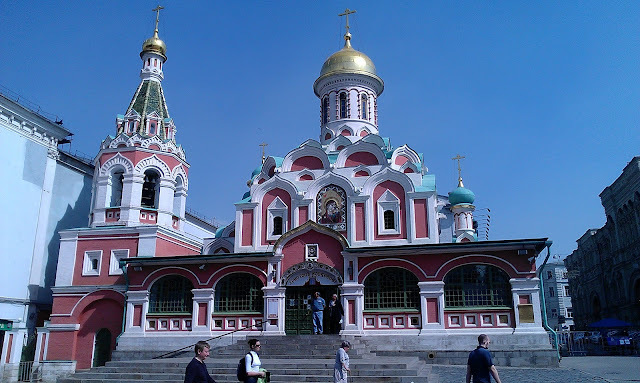 After a short walk from the Red Square we reached the Cathedral of Christ the Saviour. 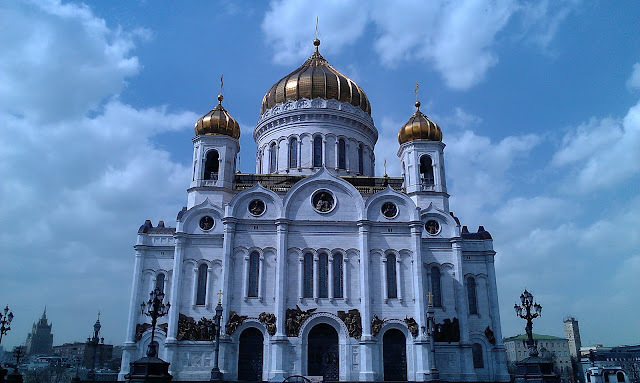 It's 105 meters height and is the tallest Orthodox church in the world. And It is really huge from inside and out. I was impressed of it's greatness and sizes. 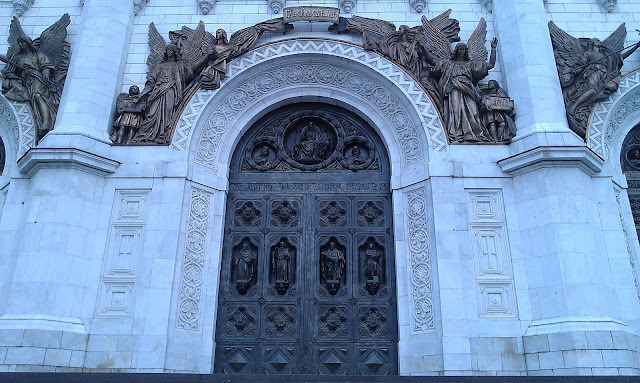 The decoration is rich and beautiful, a lot of metal statues, fretwork, heavy metal doors, etc. 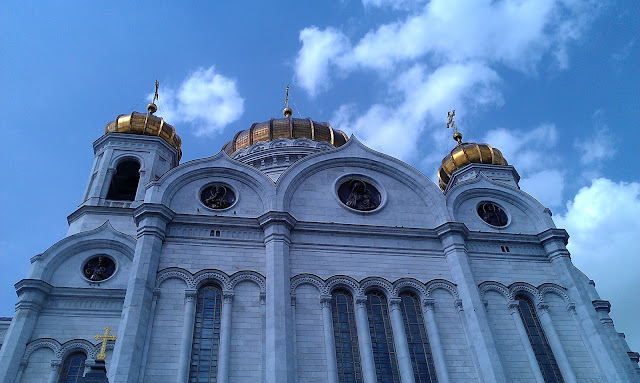 Golden domes and nice forms. After that we walked along the Lenin ave looking for a place to eat. Sometimes we come across interesting old buildings, like this one. After a lunch and some rest we headed to Crocus City Hall, being very excited to see and listen to Scorpions. 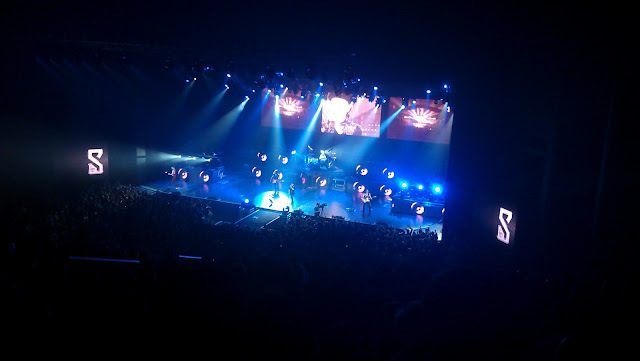 The concert was great, Scorpions were awesome as usual. We bought expensive t-shirts to memorize this event, as it is their final world tour. Here are few snapshots from the performance.